Visions of Jesus Christ.com - Mary cries tears of blood, Trinidad West Indies. 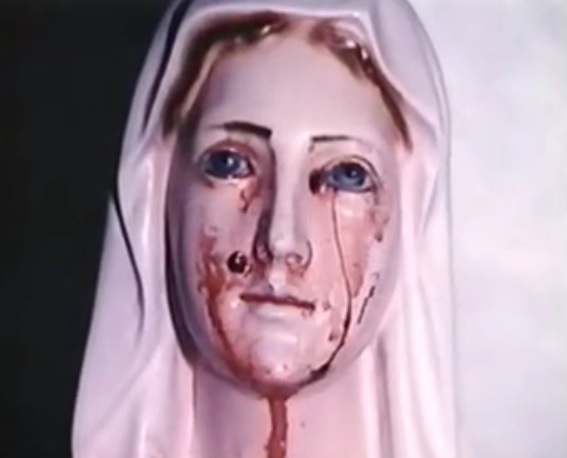 Mother Mary cries tears of blood. Above photos are from [this] video at the 5:47 min mark. On February 15, 1996 and a year later on February 20th 1997. The above pictured statue of Our Blessed Mother Mary wept tears of blood and tears. The statue was with the nuns Corpus Christi Carmelite order when the tears fell. [Professor Courtenay Bartholomew] saw the tears of blood weep from Our Lady himself and had the blood tested. The results were that the tears were human blood. 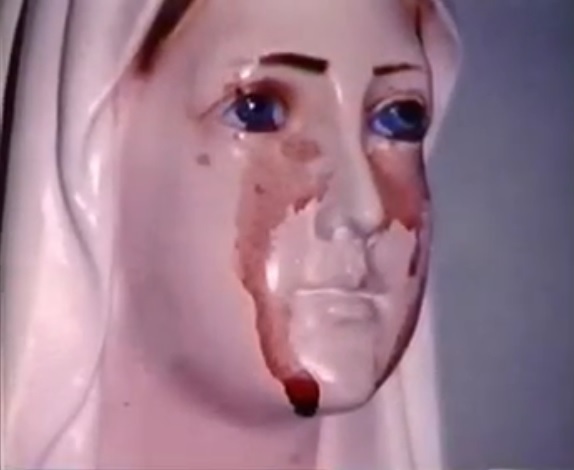 Our Lady's tears went from blood to regular tears and Professor Courtenay Bartholomew thinks this is because many, many prayers were said after the first weeping of tears of blood. Tears of blood for sorrow and then after prayers regular tears appear...Tears of joy.